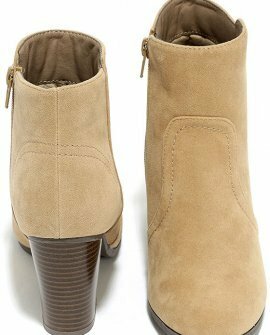 Jeans, skirts, and dresses have never looked better than with the Aubrey Beige Suede Ankle Booties! 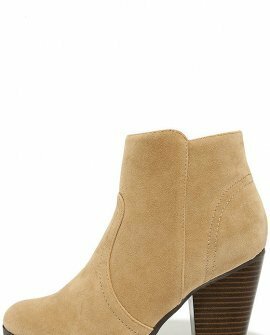 These vegan suede booties will be your new go-to with their almond toe, and notched ankle-high shaft. 5" zipper at the instep.